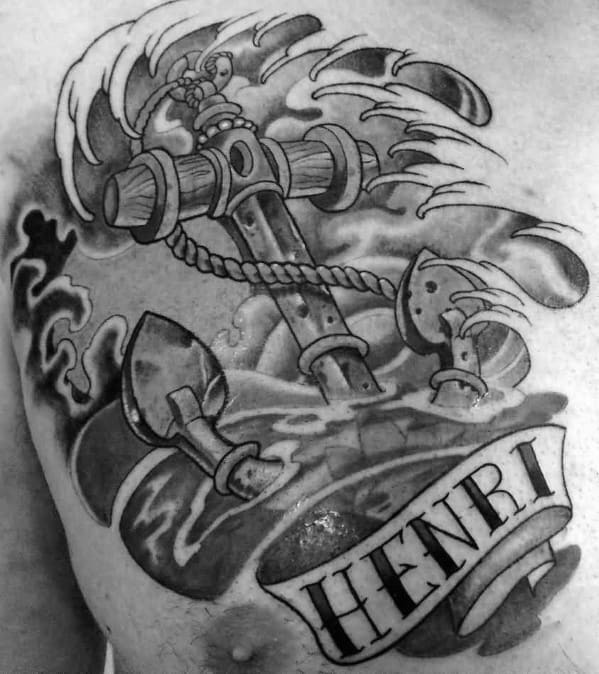 For centuries the anchor was deeply associated with seafarers, naval officers, and nautical enthusiasts. 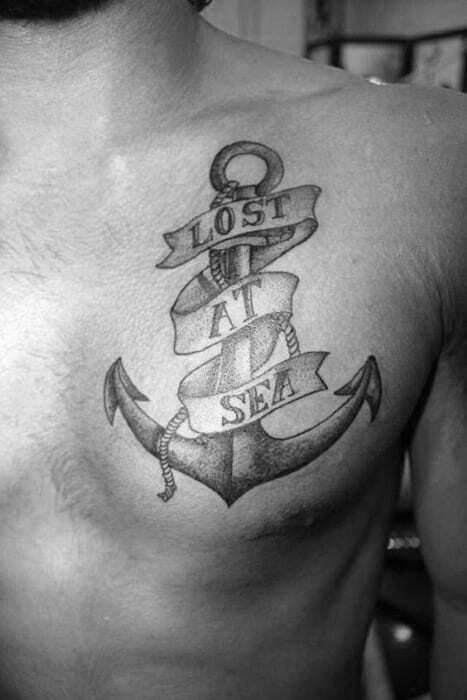 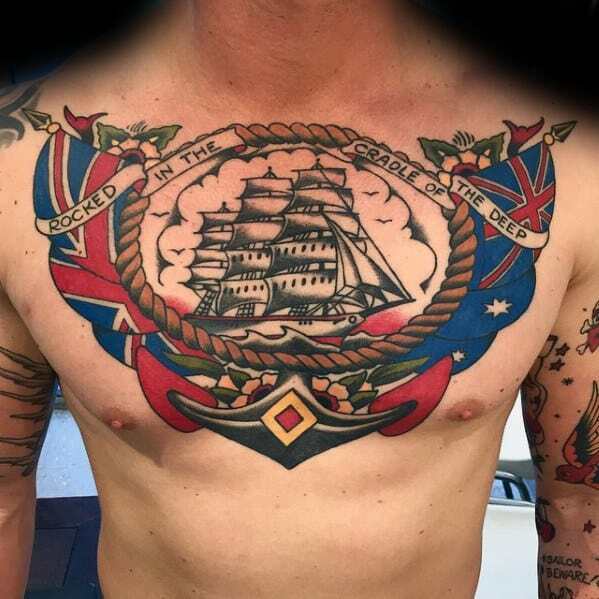 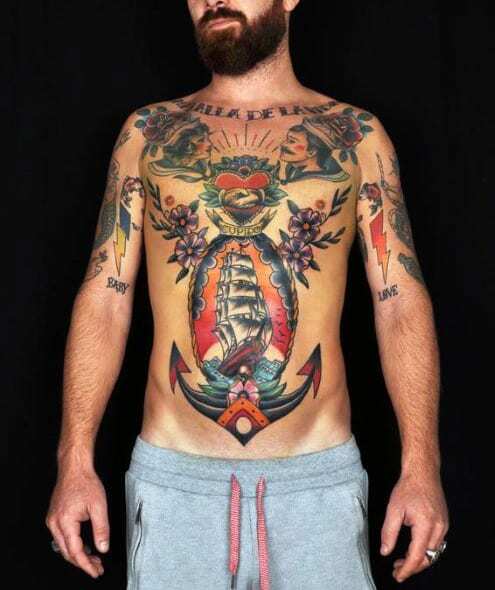 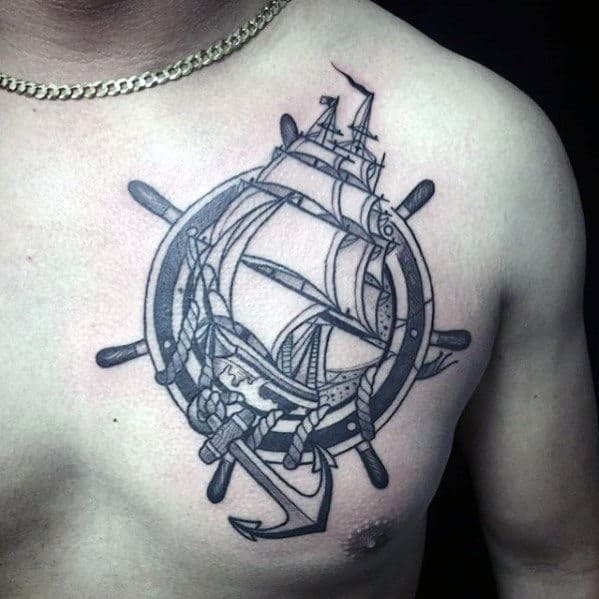 Sailors often employed the anchor tattoo to identify themselves to ocean-going comrades, while others believed it to be a form of protection on the water. 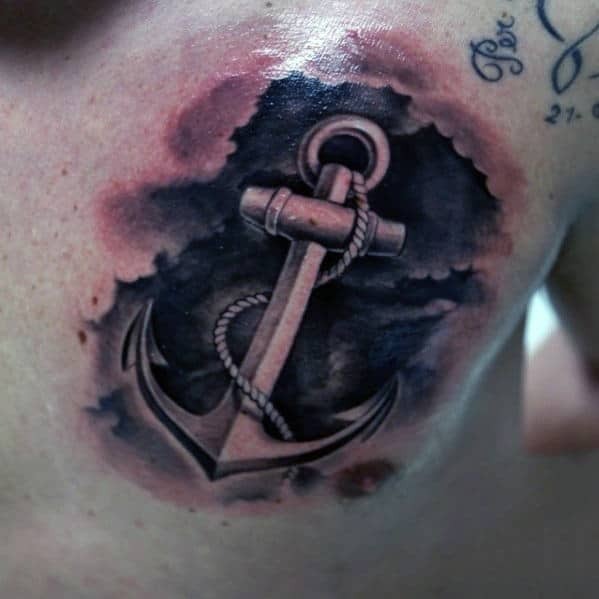 The anchor symbol was also used by Christians to evoke hope and salvation, and was secretly worn to identify and help others escaping Roman persecution. 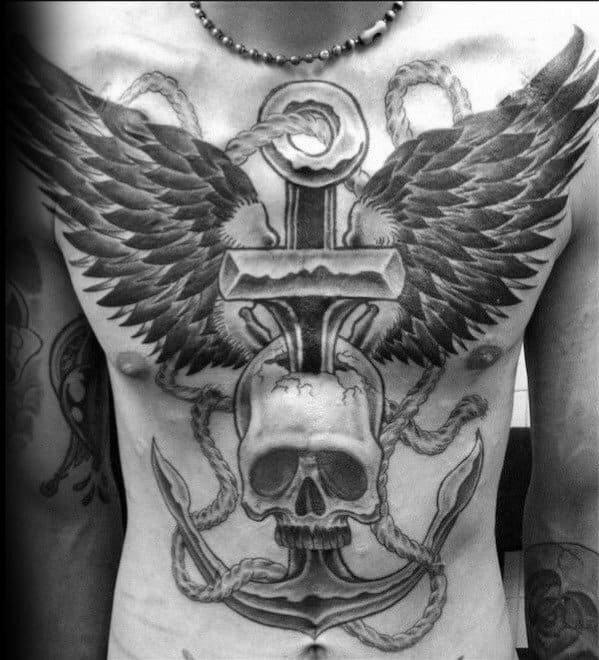 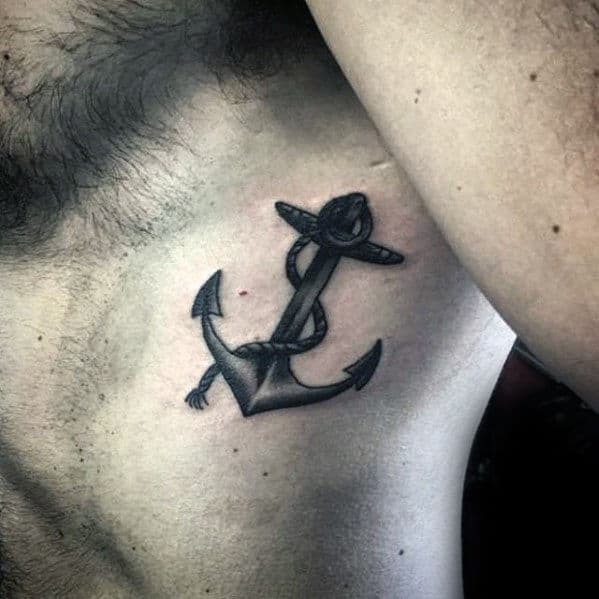 Today the anchor has been adopted by many different people, each bringing his own interpretation to the ancient symbol. 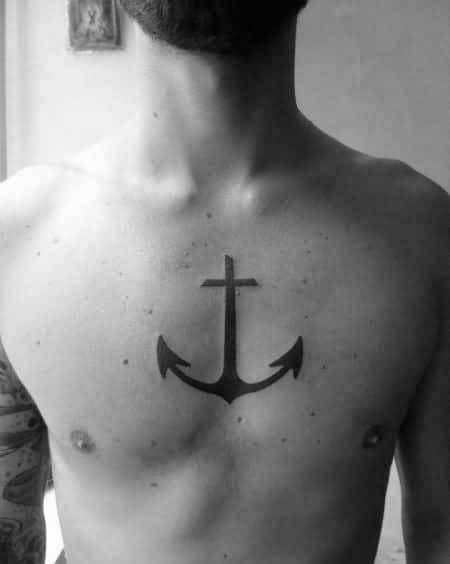 Stability is the modern correlation to the anchor, the mark of a man who is both grounded and dependable. 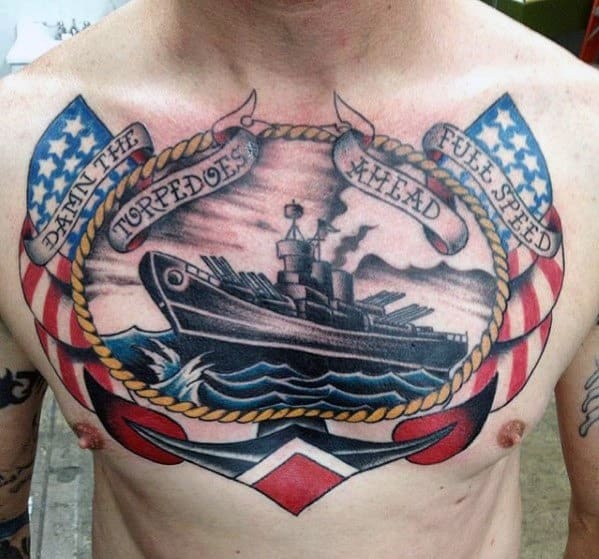 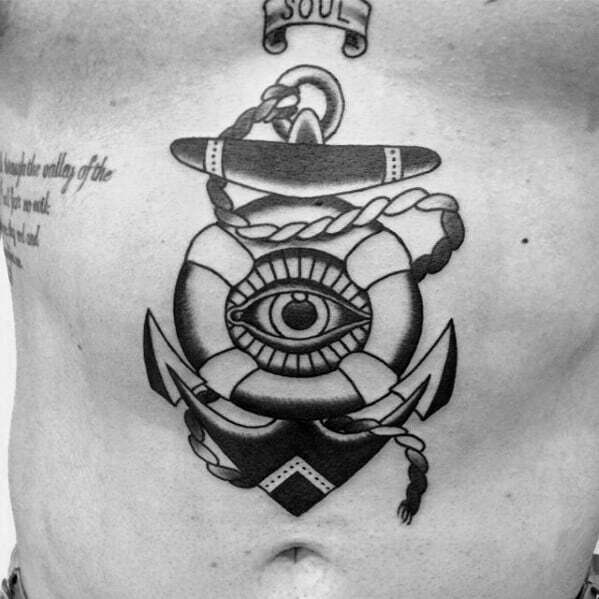 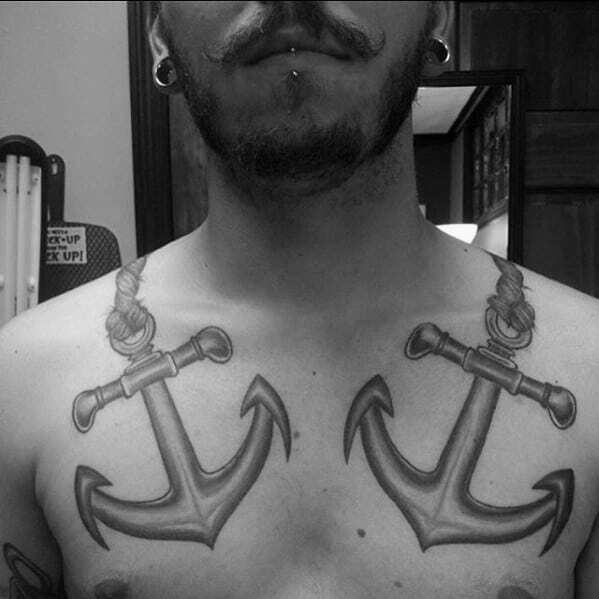 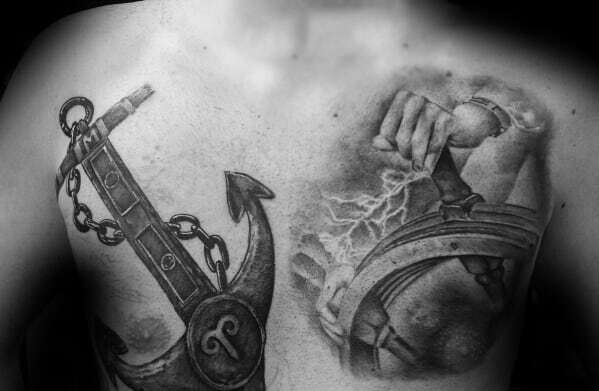 Anchors tattoos can be worn anywhere on the body, with the torso, forearm, shoulder, and calf all popular locations. 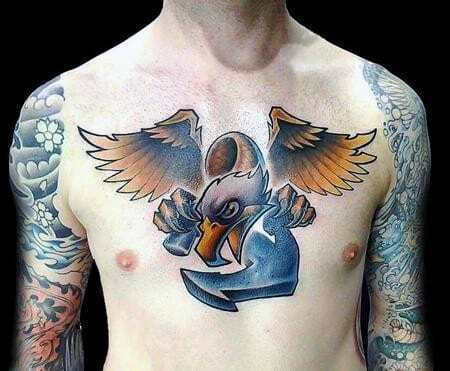 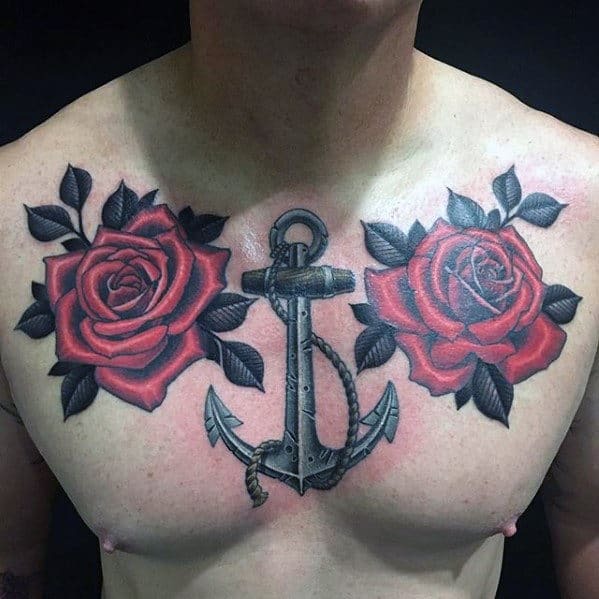 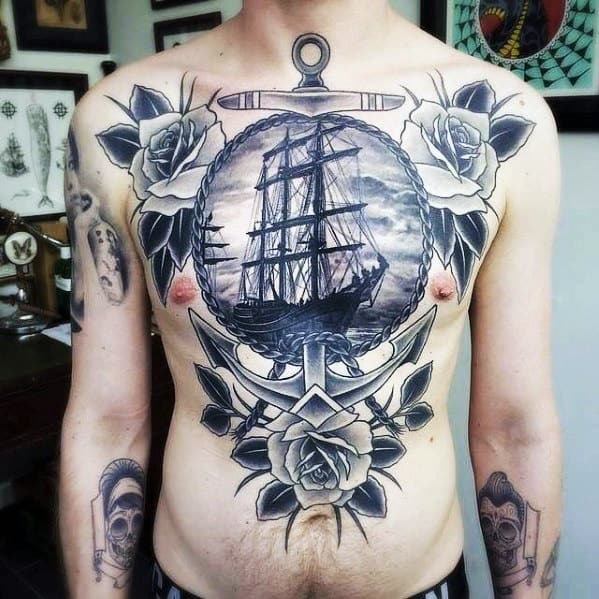 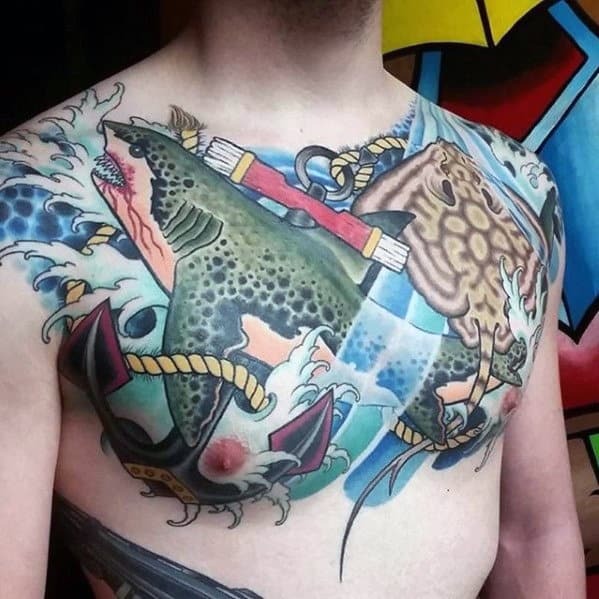 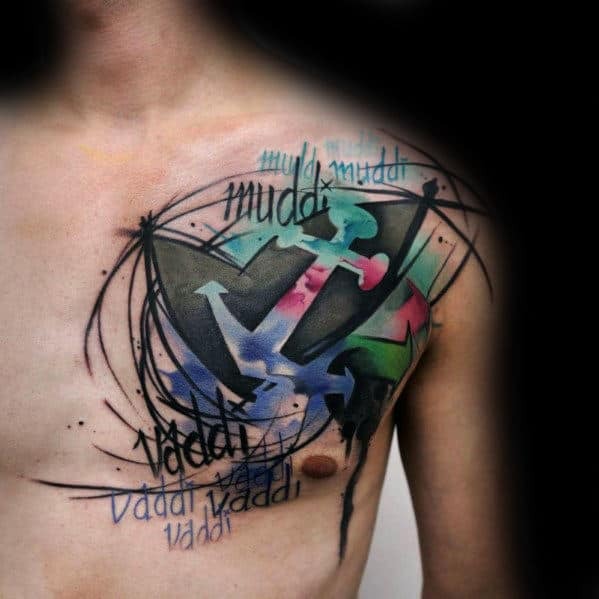 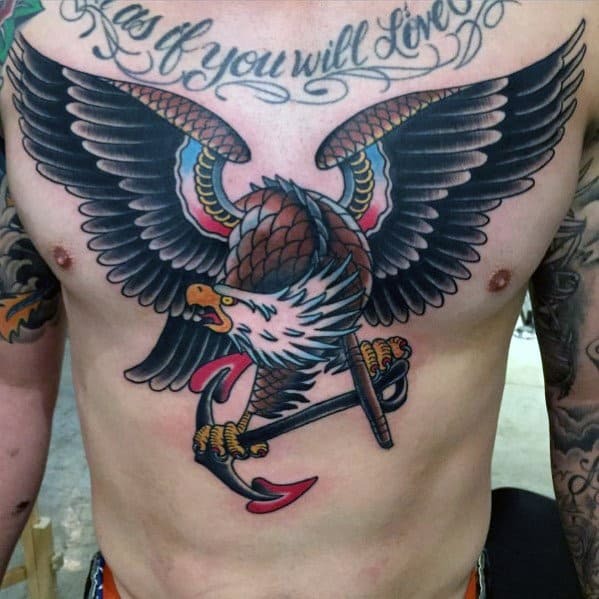 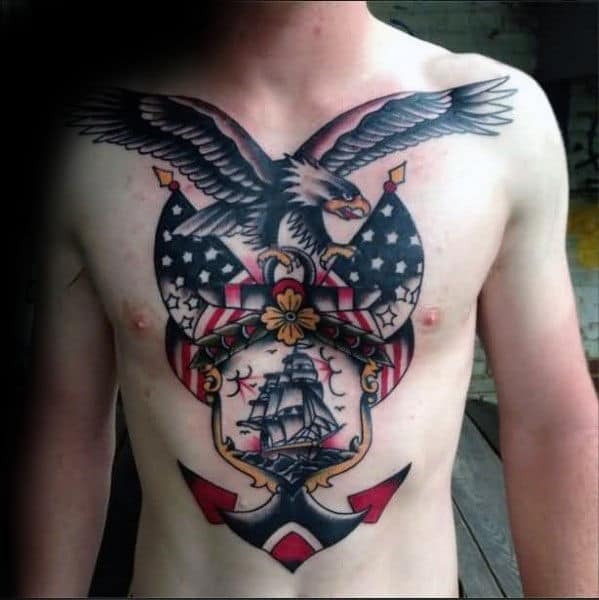 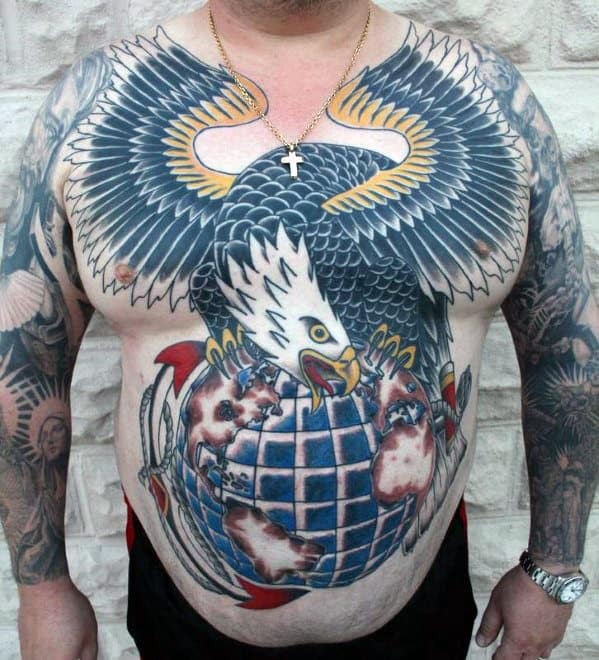 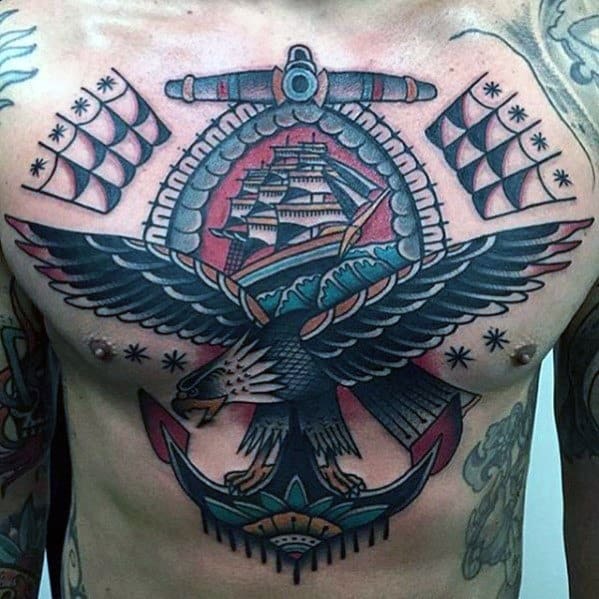 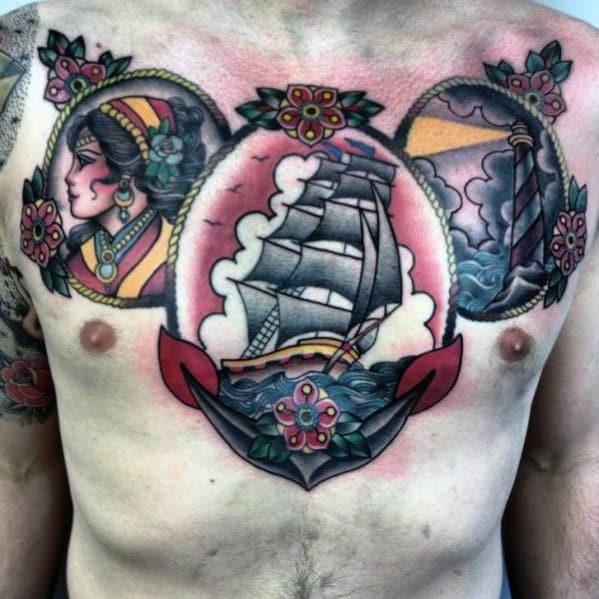 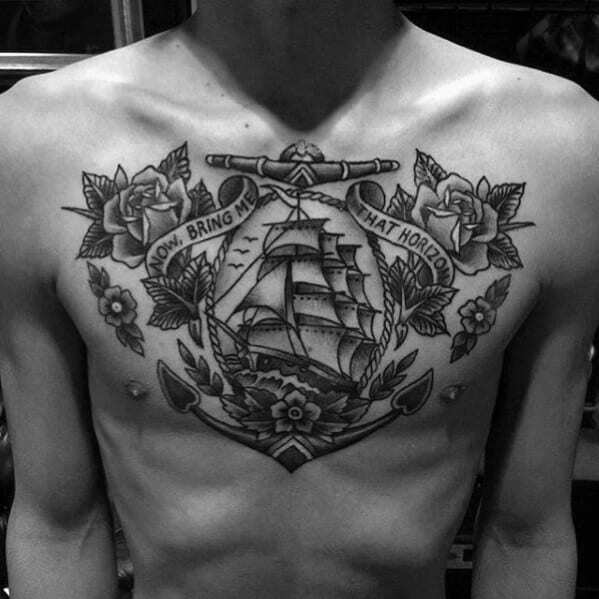 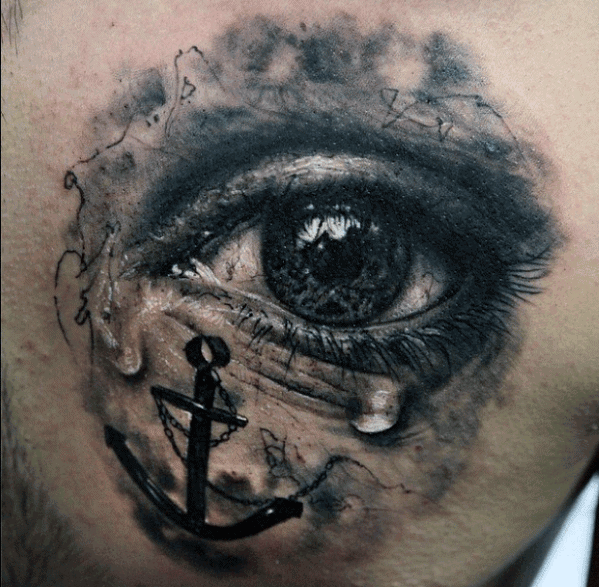 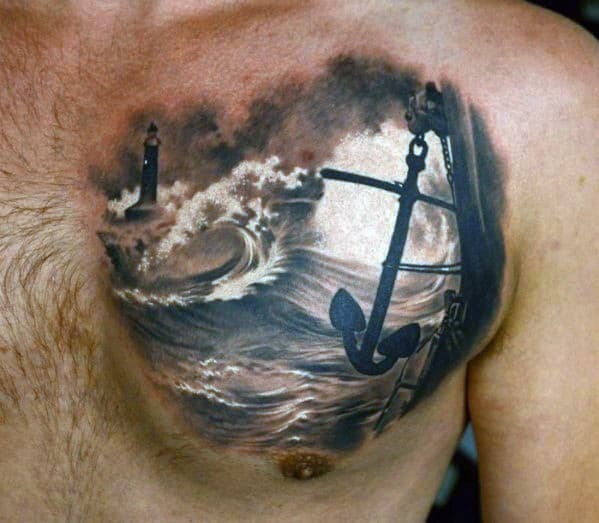 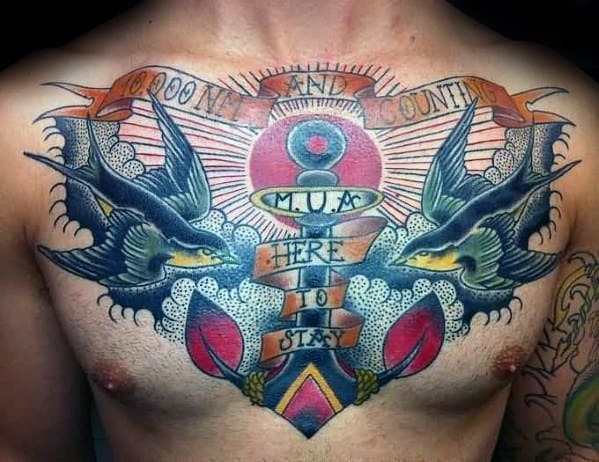 Inked in black and white or bold, sea-worthy colors, anchor tattoos can also be accompanied by personal embellishments or additions, such as sparrows (a time-honored symbol of the seafaring), feathers, flower garlands, or various navigational instruments. 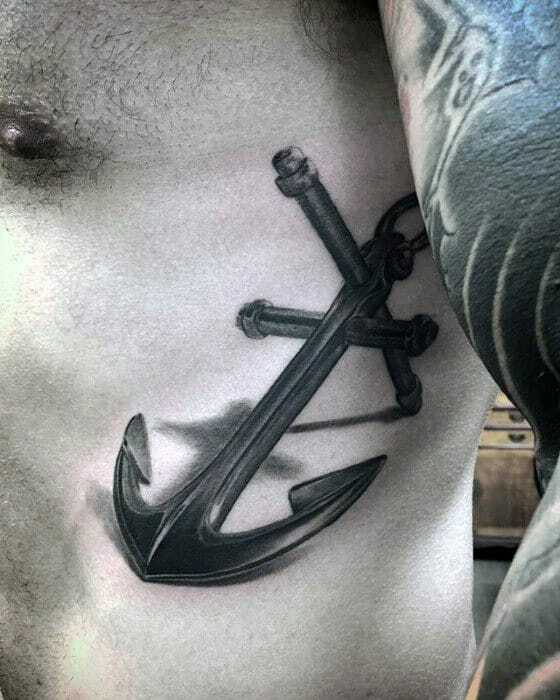 The anchor is not only a representation of one’s call to the water, but willingness to anchor themselves in their duties and loyalties to others. 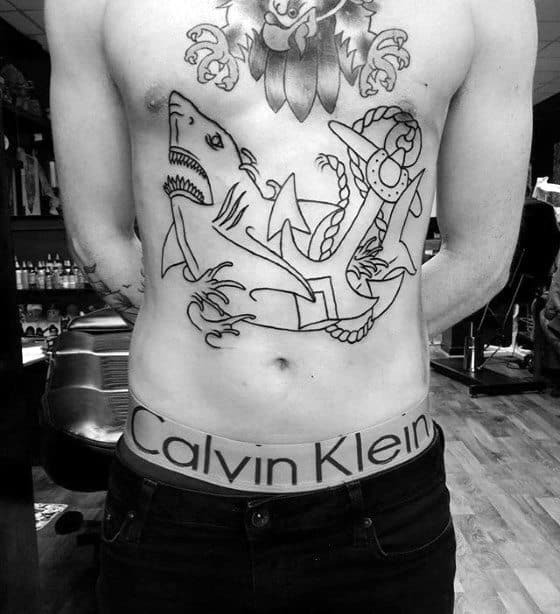 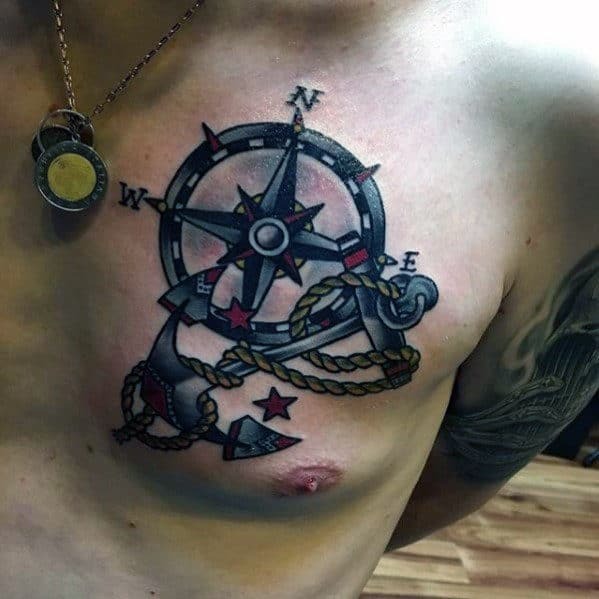 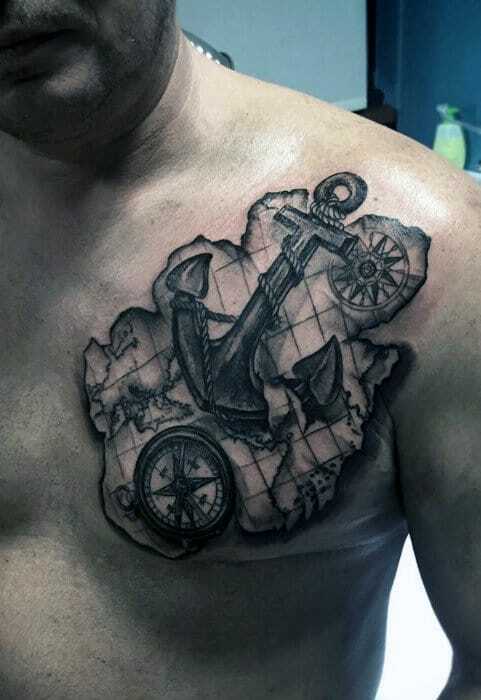 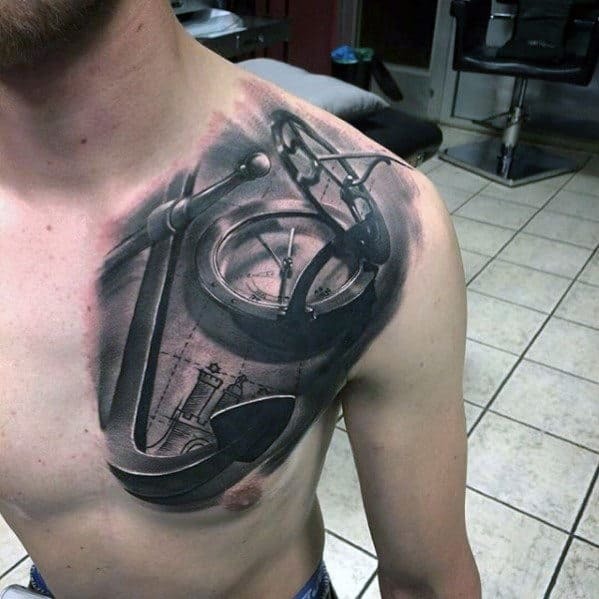 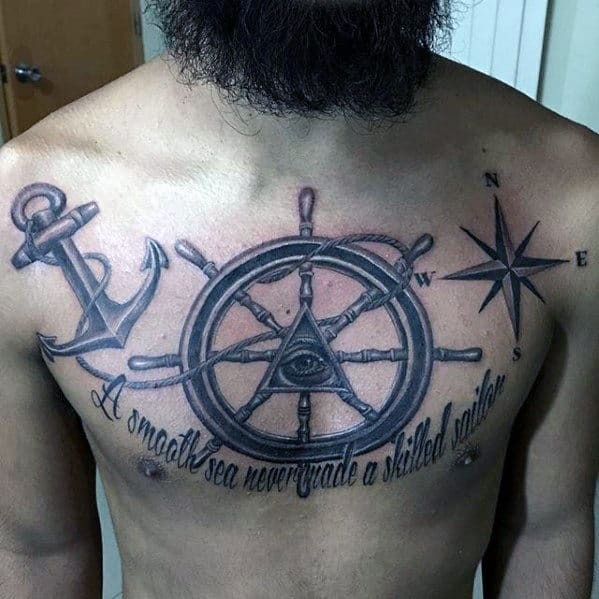 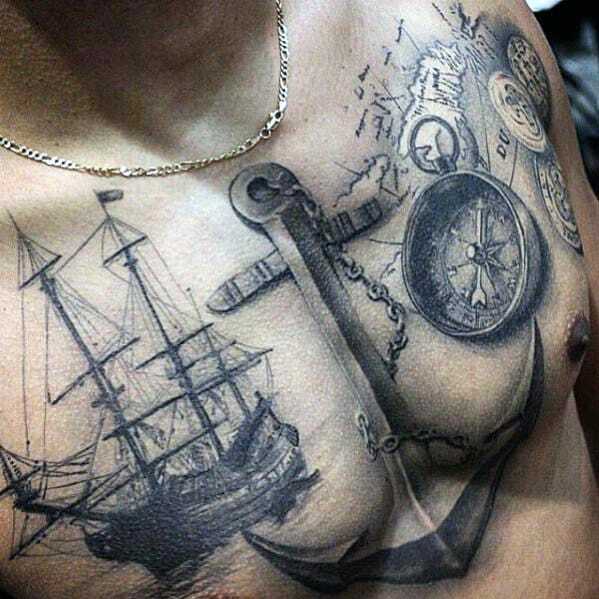 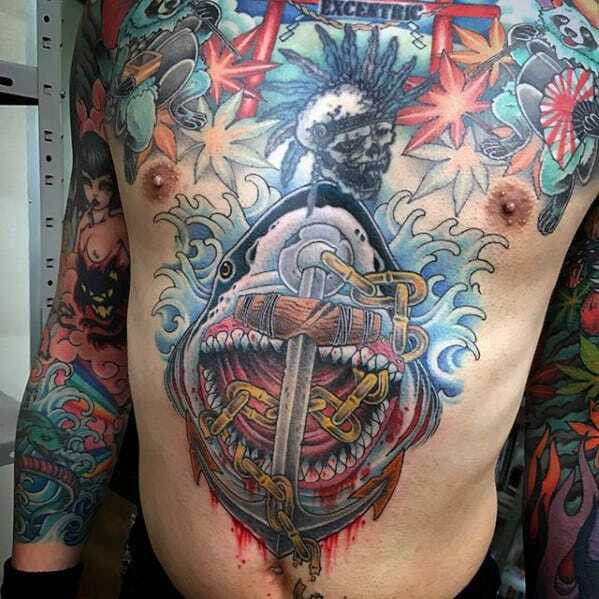 And contrary to the anchor’s literal use, the man who bears its tattoo symbol will seldom sink in his endeavors.